In today’s digitally driven society, video has emerged as an essential tool to have in your marketing mix. According to a report from Cisco, by 2019, online video will be responsible for four-fifths of global Internet traffic. The stats for the U.S. are even more impressive, coming in at 85%. In order to effectively realize the benefits of video, businesses need a comprehensive strategy or a #BetterVideo solution to stay ahead of their competitors. 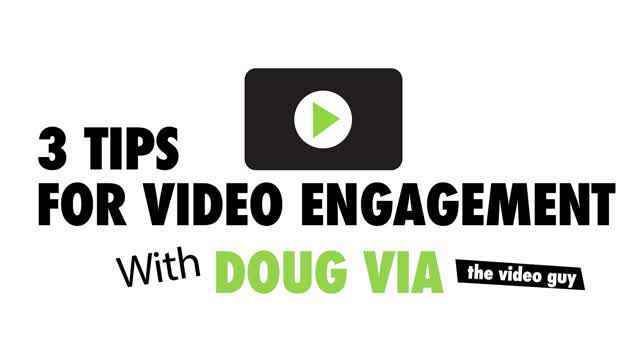 Watch the video below and listen as Doug Via “The Video Guy” explains the importance of having multiple videos for your business instead of just one. Reach out to us below to learn more about our #BetterVideo solution.